The publication of this book marks the fifteenth anniversary of the outbreak of SARS epidemic in Hong Kong in 2003. 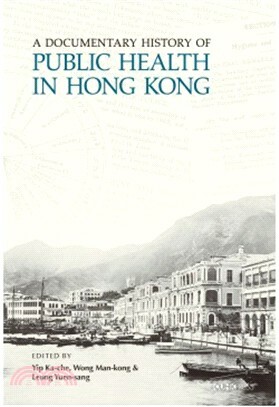 This documentary study, originating as a research project a year after the epidemic, is a comprehensive attempt to examine the development of public health in Hong Kong from 1841 to the early 1990s. It covers the periods of prewar colonial rule, Japanese occupation, postwar reconstruction and growth, and the beginning of decolonisation. It analyses political, social, economic, and cultural factors, including the intersection of colonial priorities and indigenous agency and practices that affected disease outbreaks and development, government and local responses, advances in technology related to health and medicine, as well as the emergence of health agencies and institutions. The historical documents, selected from government archives, personal papers, and special collections, are invaluable source materials for the critical evaluation of such developments. The book provides a much needed and indispensable historical perspective to understanding Hong Kong’s struggle to combat prevalent and emerging diseases such as malaria, tuberculosis, avian influenza, and SARS. Yip Ka-che is Professor Emeritus in the History Department, University of Maryland. Wong Man Kong is Associate Professor in the History Department, Hong Kong Baptist University. Leung Yuen Sang is Dean of Arts at The Chinese University of Hong Kong.